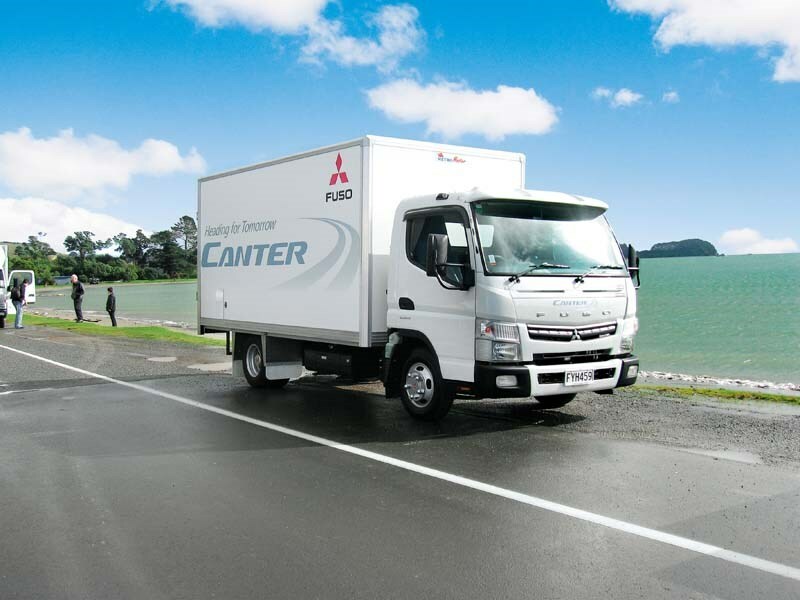 Our truck expert test reviews the new Mitsubishi Fuso Canter Euro at its NZ launch. Craig Silby reports. 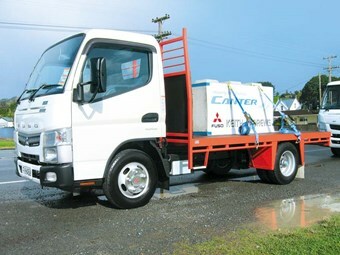 The new Fuso Canter truck from Mitsubisho Fuso. 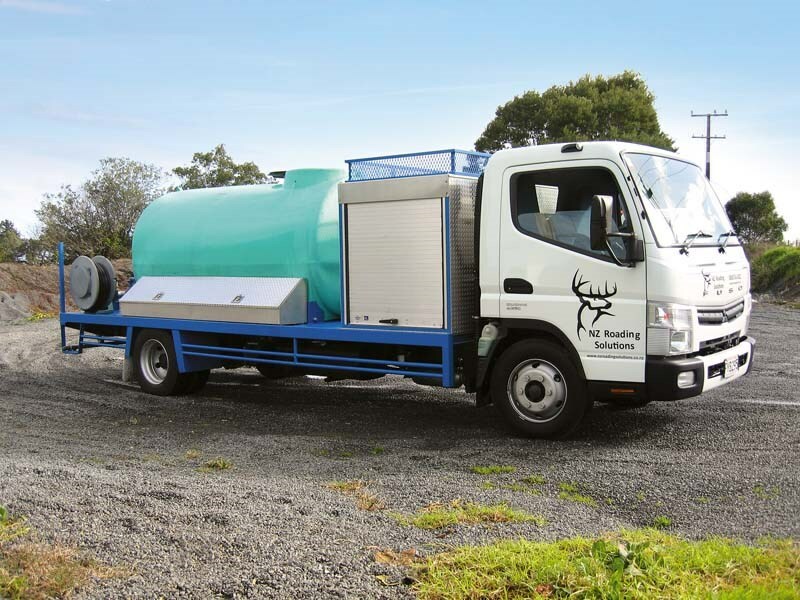 First up I tested the Mitsubishi Canter Fuso FEC82H2 - 8.2t GVM truck, fitted with a 4000-litre water tank which has no baffles. It's also the only model on test with the larger capacity 129kW engine. The truck was loaded to its maximum 8200kg gross vehicle mass (GVM). 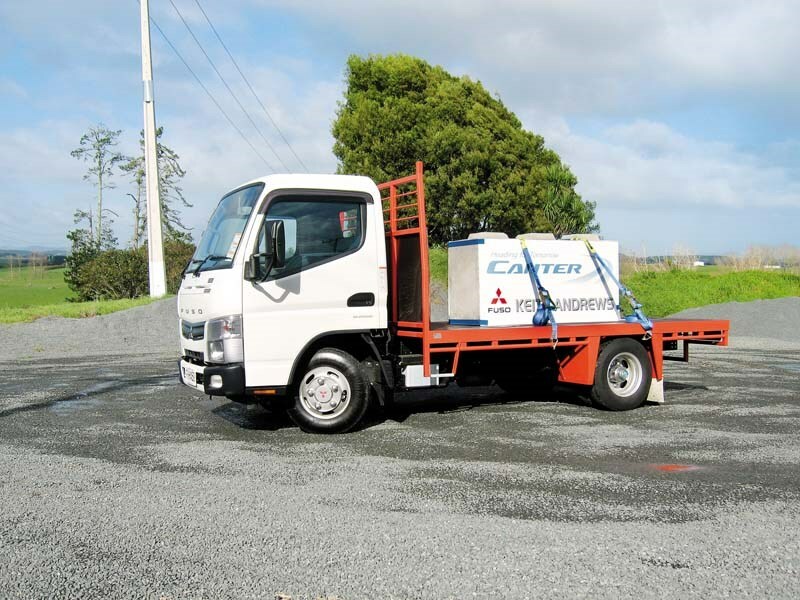 First impressions on these Mitsubishi trucks are of the very good interior fit and finish, and the clear and easy-to-use layout for the driver. The transmission shifter is within the dash, allowing clear access across the cab. A multi-function display provides the driver with a selection of information and maintenance data. A driver's SRS airbag is standard, and some wide-cab models also have passenger SRS airbag. There's a reasonable amount of storage and several spaces that will easily accommodate DIN-sized radio and communications equipment. The cup holders are secure and placed within easy reach, yet out of harm's way. A nice new feature is the suspension seat for the driver, cleverly designed to have good travel without being too high (very difficult to achieve in such a small space). The seat was comfortable and the suspension base works well. 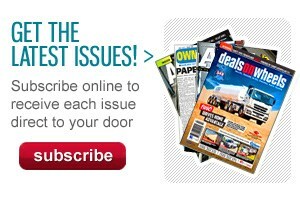 The interior is quiet, particularly compared to the China-manufactured truck tested in the July issue this magazine. Having 4000 litres of surging water on the back was always going to make for an interesting ride and would severely test the capabilities of any automated transmission. Even though I could feel the weight of the water moving around, the transmission went through its changes smoothly and without fuss. You'd expect the sensors to be thrown into disarray by the surging water, making the transmission want to change up or down when it shouldn't, but remarkably there was little or no effect. But winding up and down the hills towards Clevedon gave the power and torque a real test and I was not overly-impressed. The truck didn't labour or struggle - but it just didn't seem to be anything more than adequate. In hindsight, the quiet cabin might have contributed to that impression. The little engine revs so freely and combined with the smooth progress transferred by the Duonic transmission, everything is done simply and effectively. It feels like you're in a light van - you have this quiet little engine singing away - it sounds and feels nothing like an 8.2t truck. Going down the steep winding hills with a good push from the water proved no issue for the ABS/EBD disc brakes (there was no fade). On one occasion when I needed to stop in a hurry, it initially felt almost like the brakes weren't good enough. But they actually stopped very quickly - no sudden jerk or severity, just a smooth, safe, controlled stop. Next up I'm in the FEB75G2 - 7.5t GVM curtainsider. This has a Roadmaster Metromaster body on the back and was loaded to around 6000kg. 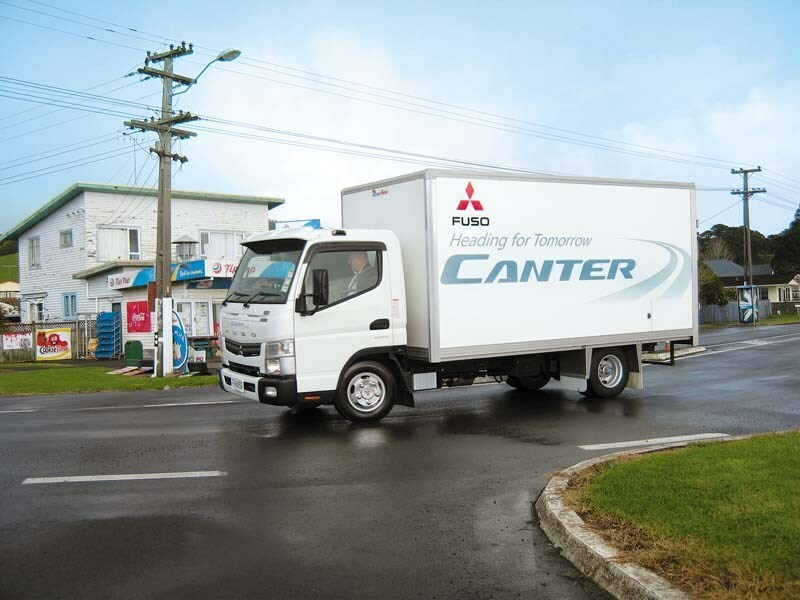 With twisty, hilly roads and strong wind gusts hitting us hard, we were probably in a situation few Fuso Canter Euros will find themselves, but the truck handled very well. There was a tendency for the transmission to hunt between 5th and 6th gear (a typical trait of automatic or automated transmissions). It's easily overcome by a focused driver using the manual function when necessary. 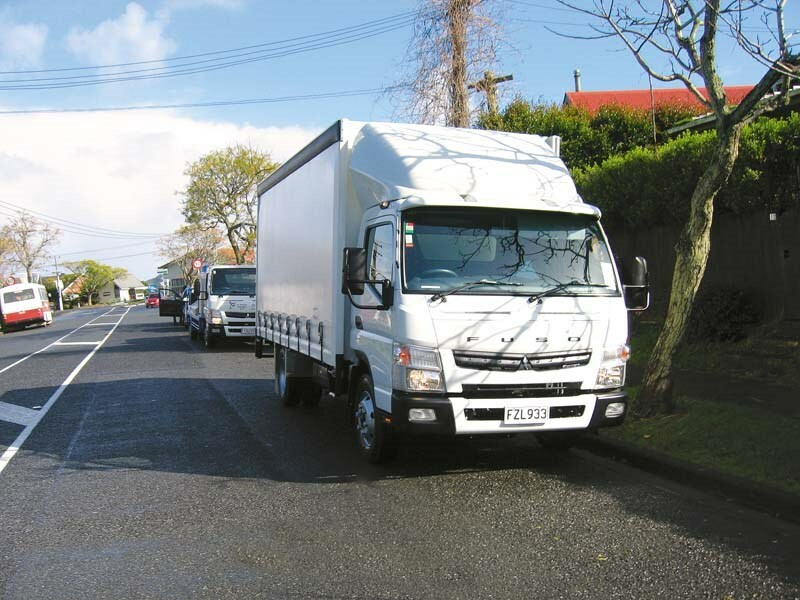 Time to try another new Fuso Canter Euro - we arrived at Kaiaua on the Seabird Coast, and I jumped into the little FEA45C2 - 4.5t GVM narrow cab flat deck. This can be driven on a Class 1 car license. A concrete block tied on the back brought our all up weight to around 4000kg. Inside the layout is exactly the same as the wide cab, yet you definitely feel more confined. Underneath is an entirely different front suspension. All models under 5t GVM get independent coil-spring front suspension and on the road you feel it immediately. This is my favourite truck of the bunch. It just seems so complete, the engine sounds right for the size of the truck, and it has a livelier feel. The ride and handling feels better (not that the ride and handling felt bad at all on the bigger trucks). It's hard to pinpoint what it is about this little truck, but it just feels right. Final change - and a switch to the FEB45E2 - 4.5t GVM box body. This also can be driven on a Class 1 car license. The body on the truck is also supplied by Roadmaster and uses lightweight Monomaster plastic panels. The truck was loaded to around 4000kg. It looks a little unusual due to the small 15" wheels (with the wide cab, they make the truck look bigger than it actually is). This truck also has the independent front suspension. Heading back through Mangatawhiri the strong winds really took effect and knocked the little truck around a bit. The transmission constantly hunted between 5th and 6th gears, struggling to keep the truck at a comfortable cruising speed in the Auto setting. Heading up the Southern side of the Bombays illustrated the amazing job the engineers have done tuning the torque characteristics of the new engine. The transmission dropped only one gear to 5th at the bottom of the hill and then stayed there all the way up (it was the same with all of the trucks on test, so I was told by the other drivers). They all just got on with the business. Back in stop-start traffic through Manukau City and suddenly the truck that was battling the cross winds and struggling to stay in top gear came into its own. It was like driving a totally different truck. Moving off from traffic lights you get up to speed and into top gear very smoothly and quickly, easily matching the surrounding cars. Everything seemed calm and easy, all working together. This was more a typical environment for the Fuso Canter, and now it feels exactly right. An added bonus is the extremely tight turning circle. I'm not sure if it was just because we had the small 15" wheels, but the truck turned in a very small area. Fuso has spent the last few years talking down some of its competitors' regenerating-diesel-particulate-filters and AMT transmissions - but now they have them too. It will be interesting to see how it alters the sales pitch to suit. For repairs and maintenance cost savings, it makes good sense to have only one engine for the entire range. The new engine makes as much (or more) power and torque as some of the competitors' larger capacity engines. The Duonic transmission is a dream to operate and in short time should become the benchmark for automated manuals in this market sector, particularly because of the very low maintenance requirements. 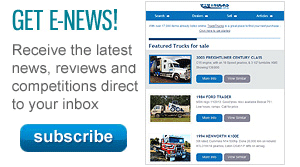 Find Fuso Canter trucks for sale. 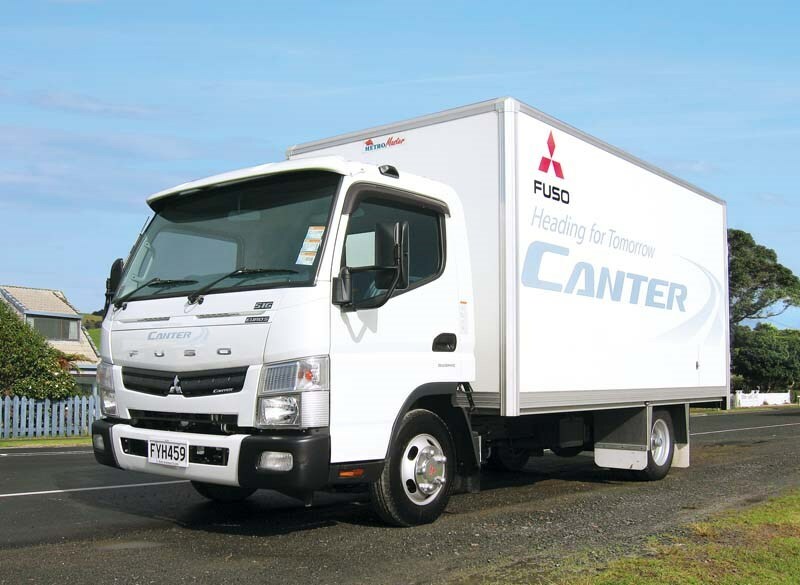 Search for new Fuso Canter specs.